Actress, Moji Olaiya’s baby as well as her remains will be brought to Nigeria from Canada courtesy of APC national leader, Asiwaju Bola Ahmed Tinubu. The development was revealed by actor, Yomi Fabiyi. After due deliberation consulted our father and a National Grand Patron of our association (TAMPAN) Asiwaju Bola Ahmed Tinubu on the 21st May, 2017 to inform him of the demise of our colleague Moji Olaiya and that our humble unanimous decision is to have her body back, then given befitting burial and have her 2 months old daughter re-united with the family. 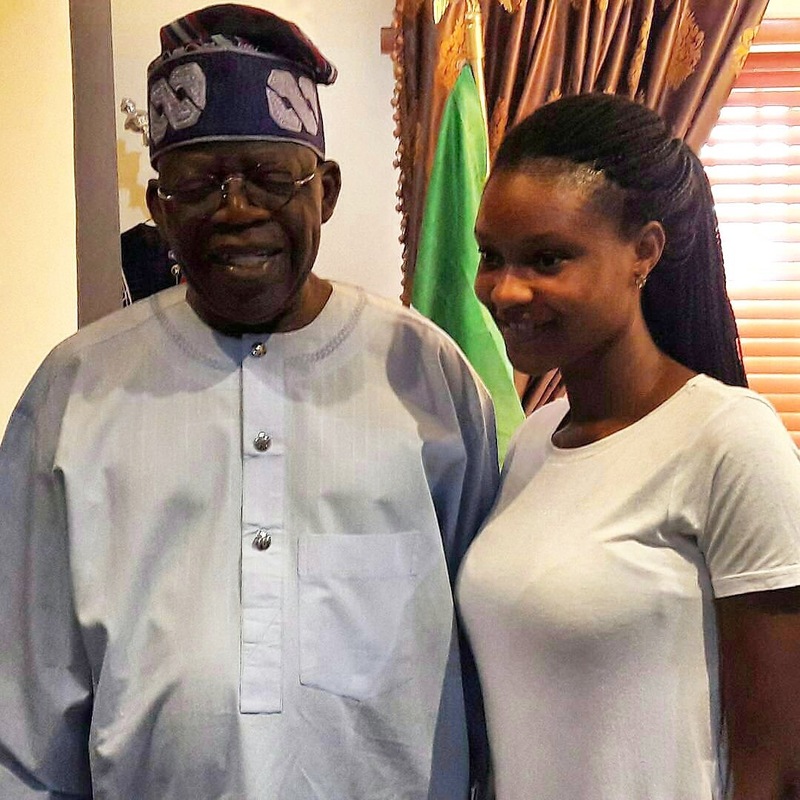 Today, Monday 22nd May, 2017 The Committee members, Adunola (Eldest daughter of Late Moji Olaiya) and 2 elder brothers of Late Moji Olaiya met with Asiwaju Bola Tinubu and he expressed his sympathy directly and gave adequate support that will cover the entire air-freight. On behalf of the family, colleagues and friends we say a big thank you to the National Leader for his fatherly and timely intervention. Further support or assistance from other sources if recieved will be adequately acknowledged. For now, we are geateful to Asiwaju and his family. The family and committee will however take it from there. Moreso, every other information relating the arrival and burial plans will be released shortly. Thank you all. Publicity Secretary For: LATE MOJI OLAIYA BURIAL COMMITTEE & FAMILY. NextAntonio Conte named LMA and Premier League Manager of the Year for 2016/17. So this Chelsea fan sold his car just to sit close to Mourinho.